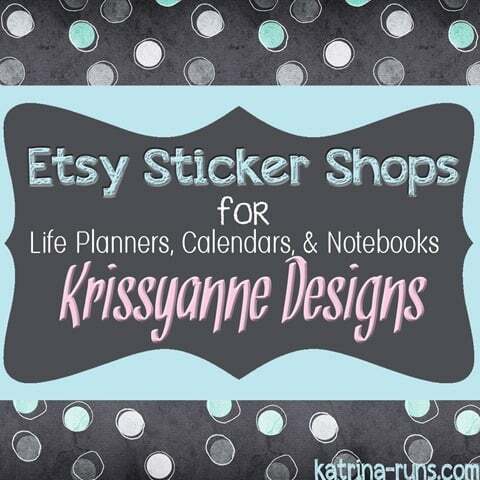 This week, I have a great Esty shop to share. 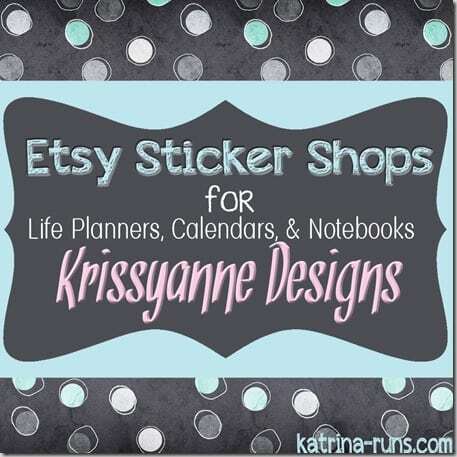 I found Krissyanne Designs early last summer when I was just experimenting with Erin Condren Life Planner organization. She was often recommended in various Facebook groups and when I checked out her shop, I was an instant fan. Take a look at some of my favorites from her shop. She has a LOT of functional stickers like the half and quarter boxes, the section flags, colorful rectangles, and smaller squares. I grabbed the baking set and motivational sayings set before they were gone. The quality of these stickers are fantastic. That means they peel easily, the colors are fully saturated without streaks, and the dimensions match the EC planner EXACTLY. I am extremely picky about my planner stickers. Krissyanne Designs did not disappoint! One thing I have my eye on that is NOT planner-related is a Keychain. She has beautiful key chains in a wide variety of colors and patterns. Check out her shop and social media channels below. 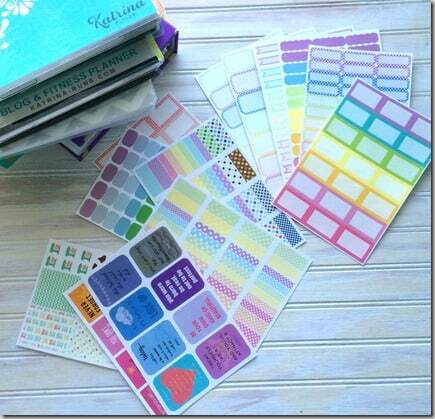 To recieve 10$ off your first purchase from Erin Condren, sign up HERE.